New Zealand frequently ranks as a top destination to visit in many tourist surveys worldwide. And once you have been, it is easy to see why. Even though New Zealand is relatively small in size (roughly the same size as Japan, Italy or Colorado), there is a wealth of things to see and do that can keep you occupied for weeks on end. Every small town seems to have its own interesting tale or attraction and around every corner a photo of breathtakingly beautiful scenery can be taken. 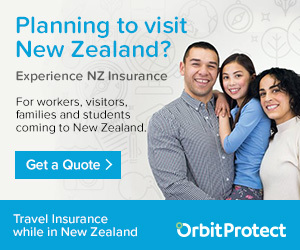 New Zealand has an amazing Tourist Information network with offices in almost all towns and cities. They are a must visit place once you arrive somewhere so that you get local knowledge of the best things to see and do in and around that place. The are also useful for containing brochures and information about other towns and tourist attractions nearby so that you can plan your adventure ahead. Kawakawa - With its famous public toilets ... seriously! Of course there are many more towns and cities that we include over time. Check out our Map of New Zealand containing a summary of some of the main cities and places to visit in New Zealand. Abel Tasman National Park - Beaches, Kayaking and a 51km walking track. Aoraki Mount Cook National Park - Has New Zealand's highest Mountain. Bay of Islands - Beaches and History at the north of the North Island. Coromandel Peninsula - Beautiful beaches and native forests. Lake Taupo - The largest lake of New Zealand had trout fishing and many adventure activities. Milford Sound - the amazing fiord in Fiordland National Park. Otago Peninsula - See penguins, seals and sea lions in their natural habitats. Tongariro National Park - 3 active volcanoes, skifields and a popular hike. Waitomo Caves - Glowworm caves, black water rafting and abseiling. Westland National Park - Franz Josef Glacier and Fox Glacier are here. White Island - An active volcanic island just off the coast near Whakatane. Cathedral Cove - Natural rock arch and beautiful beaches as seen in Narnia movies. Hobbiton - One of the movie sets from the Lord of the Rings and Hobbit Trilogies. Hot Water Beach - Dig your own hot water pool out of the sand.